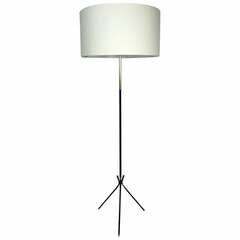 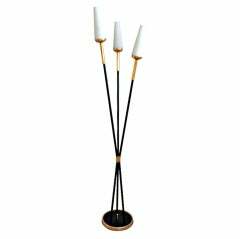 1950s floor lamp by Maison Lunel in brass and wrought iron with three lighted arms. 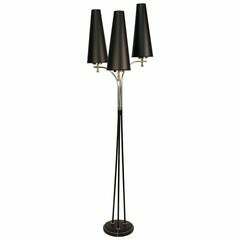 Decorated with small brass balls. 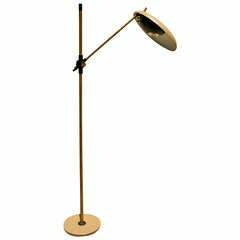 New custom lamp shade black outside and gold color inside. 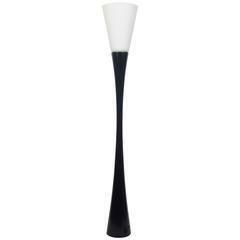 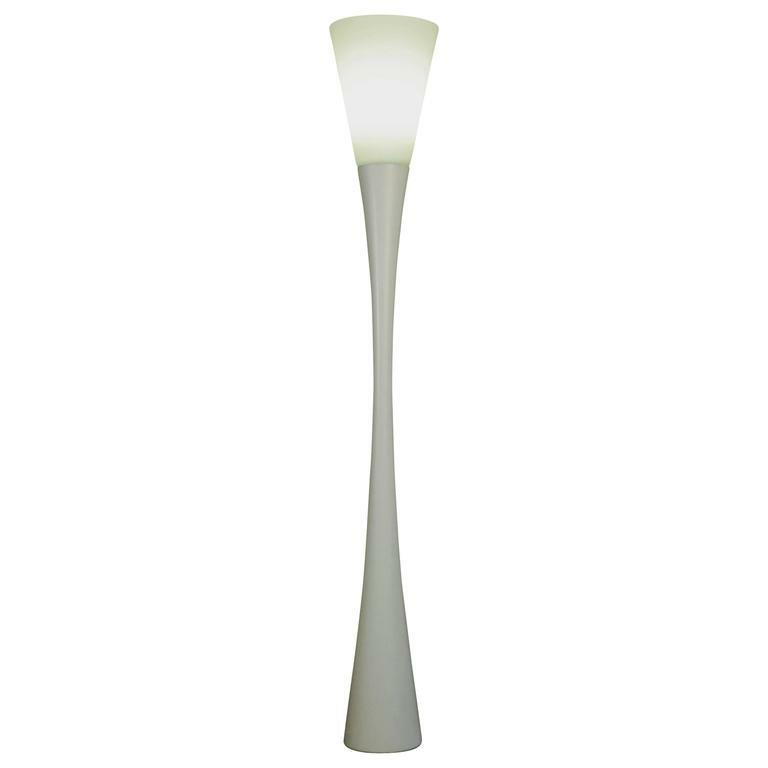 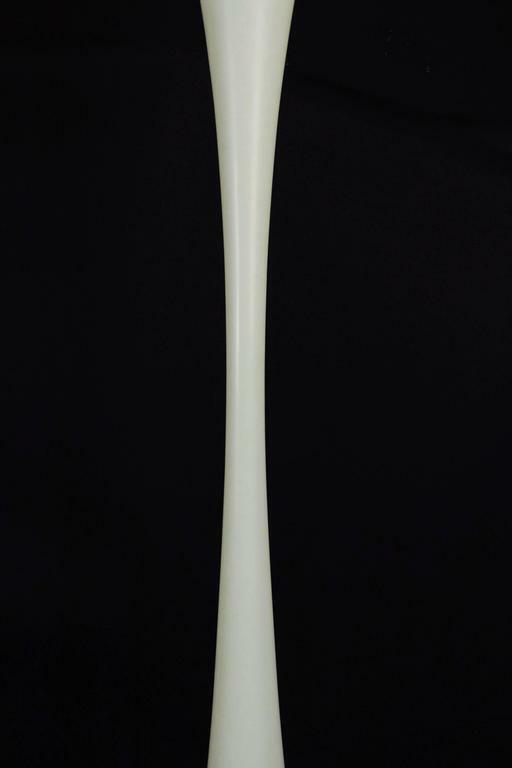 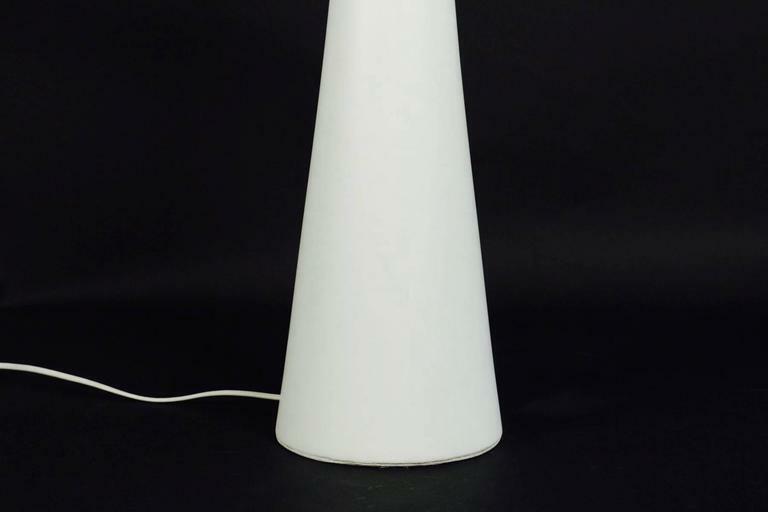 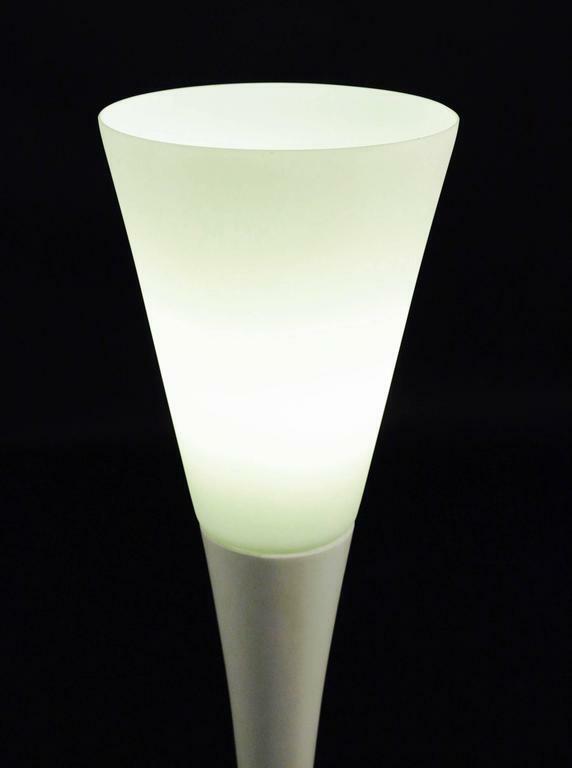 Oscar Torlasco, floor lamp, Lumi Edition, circa 1960, Italy. 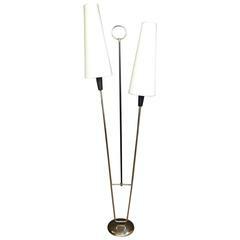 Oscar Torlasco, floor lamp,Lumi Edition, circa 1960, Italy, Golden brass, lacquered metal, Marble base, articuled lamps. 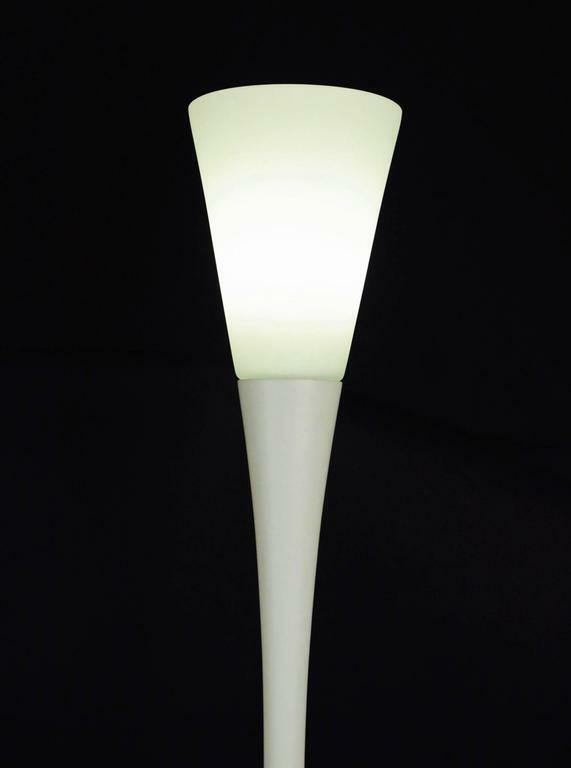 Height: 170 cm, base: 27 cm, diameter of diffuser: 37 cm.